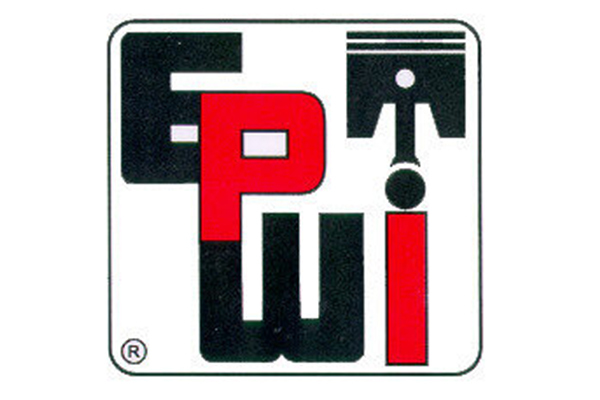 Plenty of engine builders around the country have experience shipping engines internationally. However, Daryl Hameetman has to do it on a higher level. 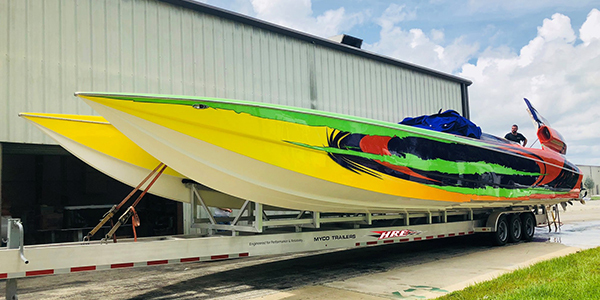 Hameetman, owner of Hameetman Racing Engines (HRE) in Cape Coral, FL, has a customer located in South Africa with two 50-foot Nortech Cat boats that Hameetman has serviced for years. 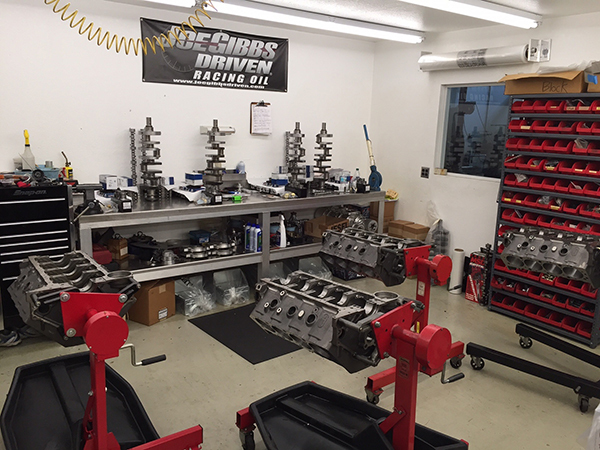 Most engine builders simply ship the engine itself back and forth when rebuilds need to be done. However, these two 50-foot boats each house four engines and need to be shipped in their entirety so HRE can do the install, paintwork and upholstery. This time around, due to saltwater damage and years of use, all eight engines needed to be replaced. With 7,000 square-feet of space and four full-time employees on hand, HRE was ready for the massive job. 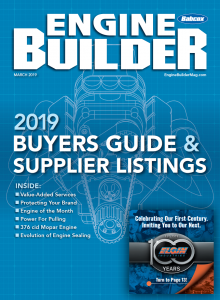 The new engines are 588 cid big block Chevy-based marine engines, and if you can imagine, the logistics of having two 50-foot boats shipped to Florida and then shipped back to South Africa, aren’t easy. When the work is done, the boats are wrapped in shrink wrap, put on trucks to transport them to California and then put on a ship back to South Africa. Hameetman first got into engine building at the age of 14 from his dad’s influence. He attended the School of Automotive Machinists right out of high school and sharpened his skills working at Nortech High Performance Engines in Cape Coral. 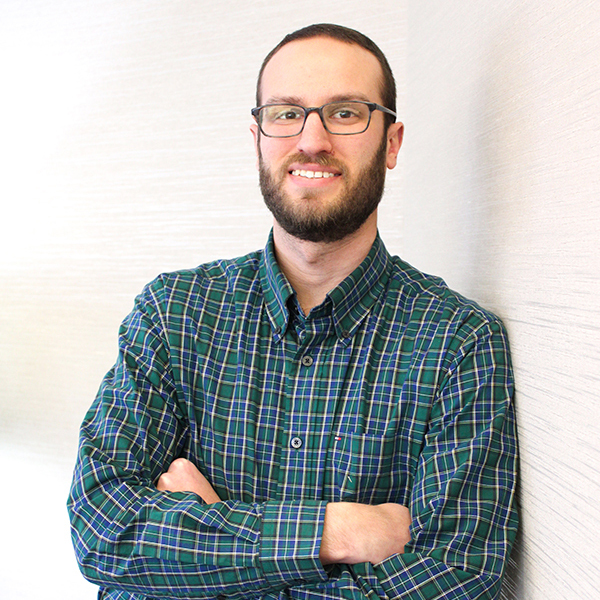 Hameetman worked for Nortech for nearly eight years before the shop had to close its doors. 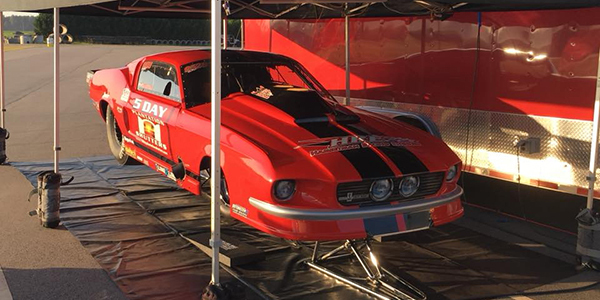 Hameetman took over, changed the name to Hameetman Racing Engines and away he went, working on everything from drag race engines to powerboats. 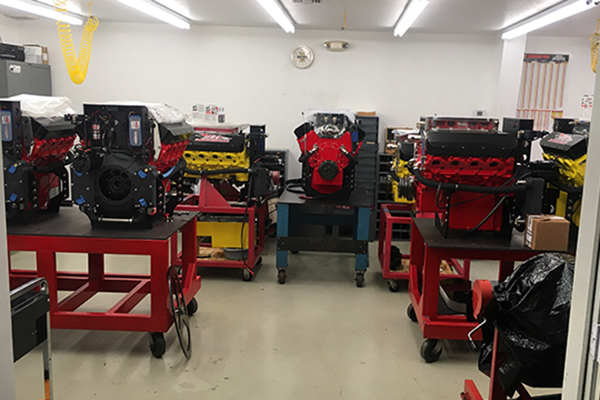 Surprisingly, when it comes to the marine engines HRE works on, Hameetman says very few of the shop’s customers are local. Due to that experience, Hameetman’s job for his customer in South Africa isn’t necessarily out of the norm. With eight new identical marine engines needing to be built, HRE used a ‘two at a time’ technique. 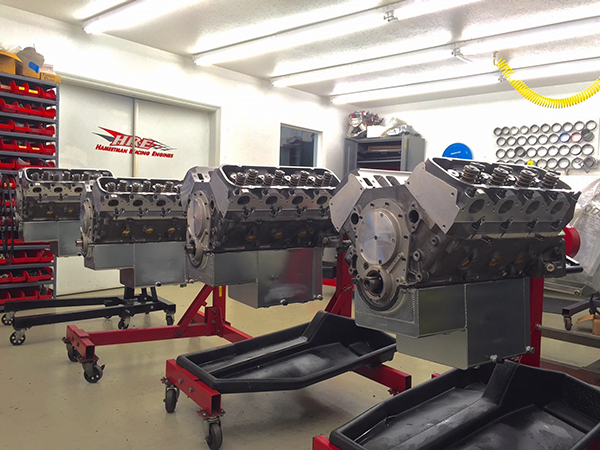 HRE started the project with Dart Big M blocks, boring the cylinders to 4.580˝ and adding bigger diameter lifters. Other machine work HRE did was the pin oiling in all of the engines. From there, HRE used Dart’s CNC 355 heads, Crower cranks and rods, JE pistons, Bullet cams, T&D rockers, and a Crower valvetrain. 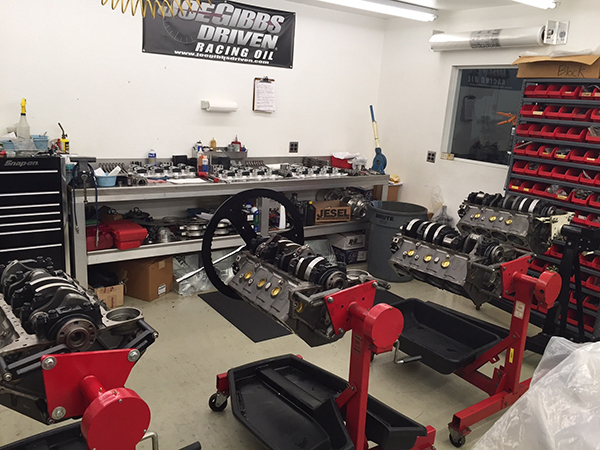 The engines also use Moroso 10-inch billet oil pumps and custom 10-inch pans. The rest of the build was really pretty basic, according to Hameetman. As a four-engine boat, each engine has its own unique mounts because of the positioning, whether it’s a port forward or a port rear engine the mounts are different. 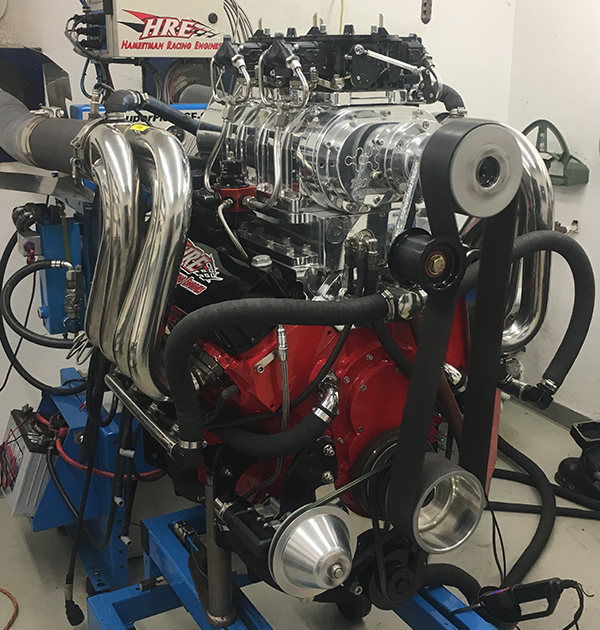 Before all eight engines are carefully installed, HRE runs each one on their SuperFlow dyno to make sure they’re running in top condition. All said and done, HRE has about 100 hours into these engines. 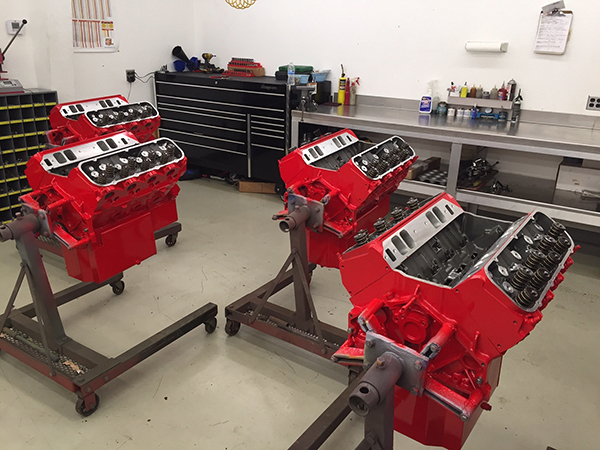 These 588 cid supercharged big block Chevy-based marine engines pump out 1,025 horsepower and 1,000 lb.-ft. of torque each, with a compression ratio of 9:1. 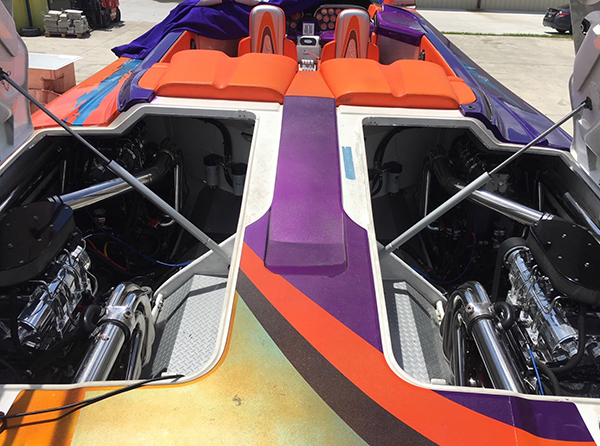 The boats are 50-feet long with 11.5-foot beams, but with 4,100 horsepower behind each one, the boats will cruise at about 135-140 mph with a top speed around 170 mph, according to Hameetman. “The boat is propped light so that it’s got pretty serious acceleration,” he says. New paintwork was done at HRE as well. 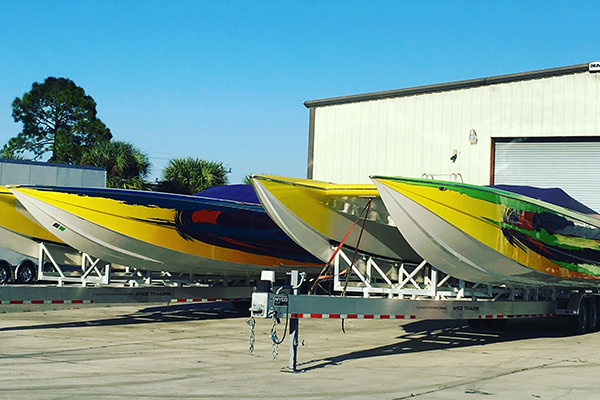 While these boats can fly out on open water, Hameetman’s customer doesn’t do any offshore racing. Instead, he just enjoys being an extreme boat owner and uses them for offshore pleasure. Ahoy matey!